11 Callaway Lake Drive Defiance, MO. 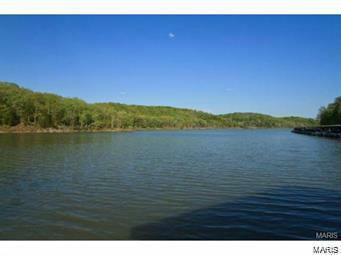 | MLS# 19004902 | Homes for Sale in St Charles, St Louis, Lincoln and Warren Counties! Looking for a Free Foreclosure List? Call Cheri Peterson 314-283-7251 Our Team is on the Leading Edge when it comes to Technology! Elementary School: Daniel Boone Elem. A Top St. Charles Producer Year After Year! She has consistently been a top producer in St. Charles county and has done so by providing top quality customer service to all her clients. She has made a positive impact on the real estate market selling over $200 Million. Experience Really Does Make A Difference! Copyright 2019, Mid America Regional Information Systems, Inc.(MARIS). All rights reserved. RE/MAX EDGE does not display the entire IDX database of Mid America Regional Information Systems, Inc. (MARIS MLS) on this web site. Property listings of some REALTOR® brokerage firms have been excluded. Listings displaying the MARIS logo are courtesy of the participants of Mid America Regional Information Systems Internet Data Exchange. Information provided deemed to be reliable but is not guaranteed to be accurate. Buyers are advised to verify all facts before making a decision on purchasing a property. No warranties, expressed or implied, are provided for the data herein, or for their use or interpretation by the user. Mid America Regional information Systems, Inc. (MARIS) will not be held responsibility for the content of such records. Last Updated On: 2019-04-21.